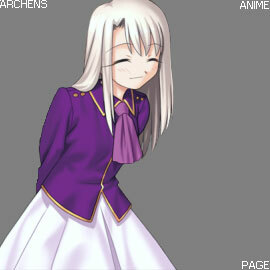 One day when Tenchi was walking home from school when he happened upon an accident. The accident wasn't your typical car wreck however, and at the scene Tenchi met a strange girl. Soon after both of them are pursued by a strange mecha warrior. Oddly enough it turns out the girl he was protecting, Ryoko; is a space pirate, and the mecha warrior is none other than a galaxy police officer... although a rather ditsy one. Soon Tenchi finds himself in the company of many other strange people such as the two princesses from a planet known as Jurai. There's also the mad scientist Washu, and no less that TWO galaxy police officers: Mihoshi and Kyone. Tenchi however has a lineage which actually stretches to Jurai's royal family, as he is said to be a descendant of Yousho - a legendary warrior. But then things seem to be amiss on the planet Jurai, leading to Tenchi and his band becoming outlaws. It seems that Tenchi's destiny is to learn more about his roots, and set things strait on Jurai once and for all. This series was released as "Tenchi Universe" is the TV incarnation of the Tenchi series. Most notably there were major character differences between the TV and OVA series. For instance Ryoko was a creation of Washu in the OVA (technically making her Ryoko's mother), while in the TV series, Ryoko is just a space pirate with no relation to Washu. There's a long list of differences between the series, but many fans of the anime find this to be a drawback and often confusing. The TV series and OVA differ in a few ways, but overall fair about the same. The OVA had better animation, and felt more imaginative but the TV series made up for this with the fun factor. Also by the nature of it's length, the TV series was better able to develop a story with a climax and conclusion. As for the ending, I think that the Tenchi TV series has one of the better ones I've seen in anime. The climax happens in the second to last episode, and it spends the entire last episode explaining the happenings thereafter and concluding the story. Spending more time winding things down, ended things much better than I would normally expect for such a series. Should you watch the TV series or the OVA? The short answer is both. They're similar, but quite different. The stories are totally separate. Other than back story details, the characters are essentially the same. Chronologically speaking, OVA 1 & 2 came first so that's as good a starting point as any in my opinion - just keep in mind that the reception for the third OVA set is bad so you might want to skip that one. Assuming you haven't seen Tenchi Muyo is an unusual hindsight that's a bit hard for me to wrap my head around, but I guess that's a realistic possibility now. 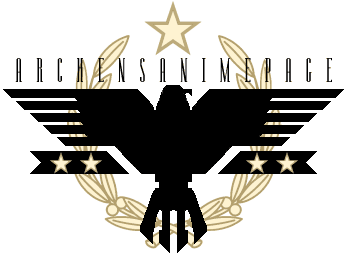 Back in the day, nearly everyone who was into anime had seen it. In modern times we call this type of show a "harem anime", but before that term was wide spread other anime series of this formula were considered "another Tenchi Muyo". Even so, I still think of Tenchi as being more of a love triangle at this point. 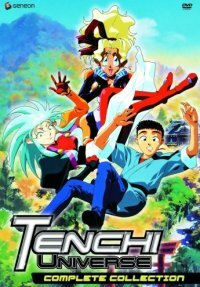 So even if you're tired of the same harem formula, I think Tenchi is still worth the watch. It's popularity over the years was well earned, and I believe warrants it being considered an anime classic. Just keep in mind that if you're not the type to leave well enough alone, the entire franchise goes downhill not long after this series, but as it was here: a good watch. Mihoshi: I'm telling you, Kiyone, you should learn to relax. Kiyone: And you should learn to panic!